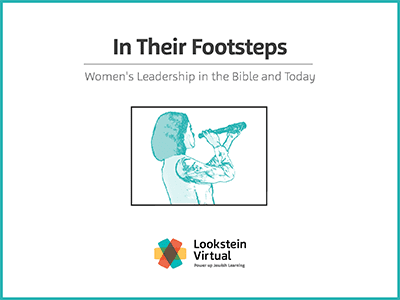 In Their Footsteps: Women’s Leadership in the Bible and Today is a first-ever online leadership workshop for young women in 10th and 11th grades. 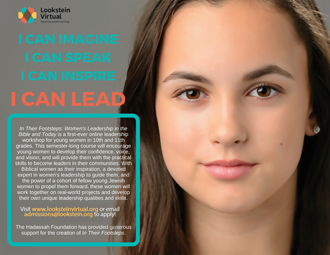 This semester-long course will encourage young women to develop their confidence, voice, and vision, and will provide them with the practical skills to become leaders in their communities. With Biblical women as their inspiration, a devoted expert in women’s leadership to guide them, and the power of a cohort of fellow young Jewish women to propel them forward, these women will work together on real-world projects and develop their own unique leadership qualities and skills.